Baltimore – The Animal Legal Defense Fund, the nation’s preeminent legal advocacy organization for animals, rescued several exotic and endangered animals from Deer Haven Mini Zoo in Keymar, Maryland. 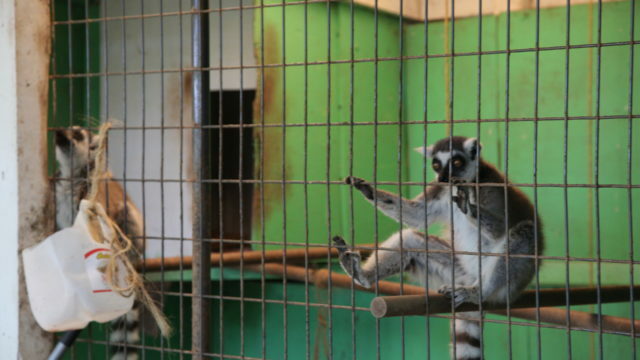 The animals, including two lemurs, a bobcat, six arctic foxes, four cavies, and a coatimundi, were removed from the unaccredited roadside menagerie and transferred to sanctuaries. After the Animal Legal Defense Fund announced its intent to sue Deer Haven Mini Zoo for violations of the federal Endangered Species Act and state cruelty laws in April, the owners agreed to voluntarily relinquish some of the animals on the property. This bobcat lived at the Deer Haven Mini Zoo for 18 years. Ring-tailed lemurs are endangered. As of 2017, it is estimated that only 2,000 remain in the wild. The bobcat spent most of her time in the rafters - which is not normal behavior for a bobcat and was mentioned in USDA inspection reports. The arctic foxes were housed in two small chain link cages. While the female raised her pups, the male stayed alone in this cage. The mother arctic fox desperate for shade on a hot day. The coatimundi lived alone in this enclosure. The lemurs are Deer Haven Mini Zoo lacked the enrichment this species needs. Ring-tailed lemurs live in groups averaging 17 members. Cavies are closely related to Guinea pigs, but weigh 20 - 35 pounds. The cavies, classified as rodents and native to South America, were kept in two small cages side by side. The enclosure the bobcat lived in for 18 years. Note the "look up" sign, due to the bobcat spending all her time in the rafters. The male lemur at Deer Haven Mini Zoo. The coatimundi showed signs of severe stress and had hair missing from his tail. In addition to a long history of Animal Welfare Act violations identified by the U.S. Department of Agriculture, the Animal Legal Defense Fund documented illegal conditions at Deer Haven Mini Zoo including very ill animals, poor sanitation, and safety hazards. According to USDA inspection reports, several people have been bitten and/or injured by animals. The Animal Legal Defense Fund facilitated the transfer of 14 animals to reputable sanctuaries across the country, including Endangered Primate Foundation, Wildlife Rescue & Rehabilitation, and Foster Parrots in Rhode Island. A special thanks to Loving Transport and Primate Rescue Center for their assistance with transporting the animals to their new homes. All of the animals were provided with water and a bed of straw for their journey. The male father arctic fox on the left, with one of his offspring on the right - prepared for transport. The coatimundi preparing for transport to a sanctuary. A veterinarian sedated the bobcat to be able to do a medical check and trap the bobcat for transport. One of four 1 and a half year-old arctic fox pups ready for transport. Animal Legal Defense Fund's Elizabeth Putsche and Will Lowry carry a rescued arctic fox to the transport truck. The mother arctic fox preparing for transport to a Texas sanctuary. Loving Transport drove the arctic foxes, bobcat, and coatimundi the 25 hours in a temperature controlled van to their new home at a Texas sanctuary. Animal Legal Defense Fund's Daniel Lutz and Elizabeth Holtz carry a cavy to the transport van. The Animal Legal Defense Fund continues to work with the zoo owners in an effort to rescue additional animals. 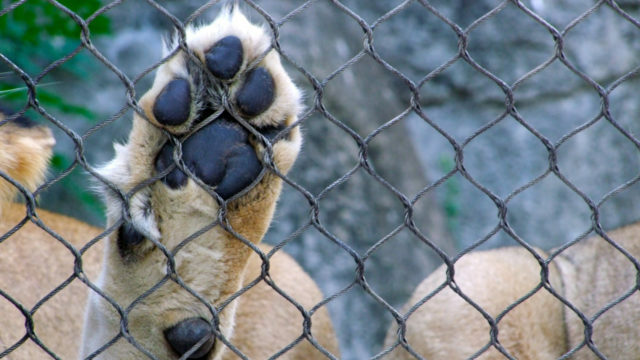 The Animal Legal Defense Fund files lawsuits against roadside zoos across the country that fail to meet the standards of care required by the Animal Welfare Act and Endangered Species Act. 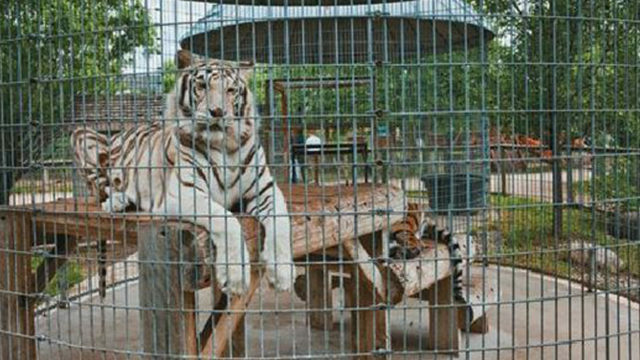 In April, the Eighth Circuit Court of Appeals affirmed a district court ruling that the Endangered Species Act applies to captive animals after the Animal Legal Defense Fund sued a roadside zoo in Iowa. Animals are moved to rescue facilities.